Falconer Electronics is located in the southwestern corner of New York State. 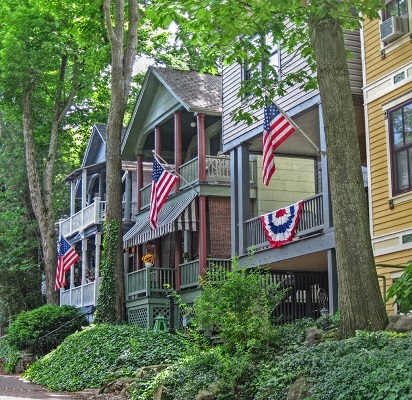 We call Chautauqua County home which is also the birthplace of the National Historic Landmark, Chautauqua Institution. Chautauqua Institution is a 750 acre community on Chautauqua Lake that attracts 100,000 visitors each summer who explore spirituality, philosophy, cultural vitality and the arts. President Theodore Roosevelt, a repeat visitor once called Chautauqua Institution: “the most American thing in America“. CHQ is dedicated to the exploration of the best in human values and the enrichment of life through a program that explores the important religious, social and political issues of our times; stimulates provocative, thoughtful involvement of individuals and families in creative response to such issues; and promotes excellence and creativity in the appreciation, performance and teaching of the arts. The Chautauqua Institution summer season typically runs from the last week of June through the last week of August. For example, the 2018 season spans from June 23 – August 26. Each summer season celebrates four program areas: The Arts, Religion, Education and Recreation. A summer at Chautauqua is loaded with lectures, concerts, religious services and as well as amazing displays of literary and performing arts. Chautauqua Institution attracts world class talent that perform ballet, theater, opera, symphony and dance. Click here to check out this season’s exciting events. Chautauqua Institution sets on the shores of beautiful Chautauqua Lake in southwestern New York State. The Institution was originally called the Chautauqua Lake Sunday School Assembly. It was founded in 1874 as an educational experiment in out-of-school, vacation learning by industrialist Lewis Miller and Methodist Bishop John Heyl Vincent. Hence, a place where spirituality meets continuing education. Lewis Miller was a hugely successful inventor and entrepreneur as well as a generous philanthropist. 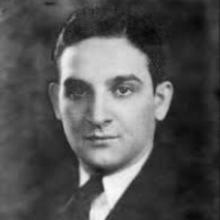 Miller was also the father of Mina Miller. Who is Mina Miller you ask? 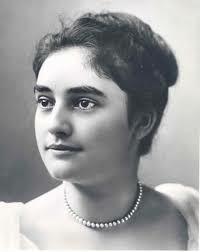 Mina Miller became Mina Miller Edison when she married Thomas Edison at the age of 20 in 1885. Making this connection was particularly exciting for our team here at Falconer Electronics. 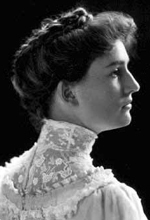 Especially since we discovered the greatest inventor of electronics had established roots to our community by marrying the dynamic Mina Miller (we have much more exciting information on Mina in upcoming blog posts). Many political leaders have spent time at Chautauqua over the years. For example, four U.S. Presidents have visited Chautauqua Institution while in office since its founding in 1874: Ulysses S. Grant, Theodore Roosevelt, Franklin Delano Roosevelt and Bill Clinton. President Grant was invited to Chautauqua Institution one year after being founded. The intention was to invite a high profile guest to promote the newly christened “New York Chautauqua Assembly”. Chautauqua Institution co-founder Methodist Bishop John Heyl Vincent, served as President Grant’s pastor in Illinois prior to either man reaching fame. Therefore, Grant gladly accepted the invite in August 1975. President Roosevelt delivers his famous “I Hate War” speech at Chautauqua Institution on August 14, 1936. However, the world was already spiraling towards the devastation of a world war. 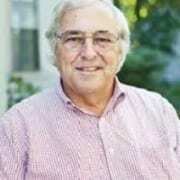 Our friend, Jonathan Schmitz, the Chautauqua Institution archivist offers insight on FDR’s famous speech on the 75th anniversary. President Bill Clinton visited Chautauqua in 1996 during preparations for his debate with presidential candidate Bob Dole (see video below). Clinton conducted mock debates against former Sen. George Mitchell who Clinton joked that he was “badly beaten” during these preparations. Clinton also visited Chautauqua Institution prior in 1992 while campaigning against President Bush. Spending time in Chautauqua certainly brought good luck with Clinton winning both elections. 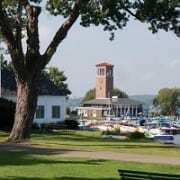 Thank you for reading our post on Chautauqua Institution. 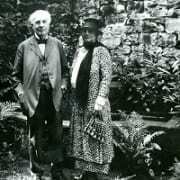 This continues our series on the Thomas Edison Family. 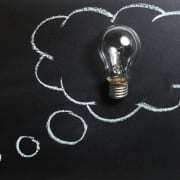 Check out our previous blogs on Thomas Edison. https://falconerelectronics.com/wp-content/uploads/2018/07/chq.jpg 200 431 Curt Anderson https://falconerelectronics.com/wp-content/uploads/2016/12/fei-blue-300x88.png Curt Anderson2018-07-03 10:07:122018-08-15 15:52:19Chautauqua Institution: "The Most American Thing in America"
The Thomas Edison Family name is well known. Everyone that has ever learned about electricity knows of Thomas Edison. 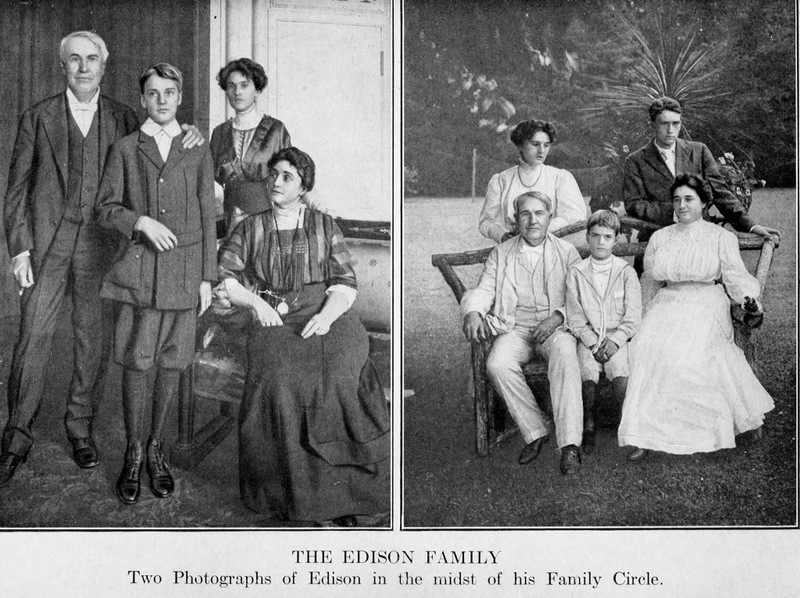 However, how much does anyone really know about the entire Edison family? The facts below can bring the entire Edison family into the spotlight. Also, Thomas Edison Jr. changed his name from Edison to Willard upon his father’s request. Want to know more about Thomas Edison? Read our blog on Thomas Edison’s Life! You can also learn more about his inventions. Check out our blog on his Successes and Failures. 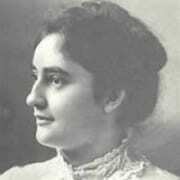 Are you interested in more information about Mina Miller and her ties to Chautauqua Institution? Check out our other blog on Mina Miller! Want to know more about what we do here at Falconer Electronics? Check out the rest of our site! Also, check out our customer favorite pages Wire Harness Assembly and Ground Straps. Thomas Edison had many inventions. However, in 1868, at the age of 22, Thomas Edison invented an “electrical vote recorder“. 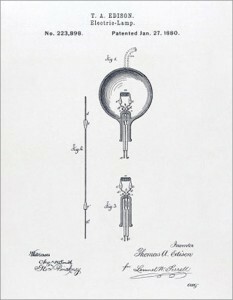 This was Edison’s first patent. This recorder was a very simple concept. It was for Congress to record their votes. 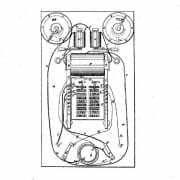 The recorder was also an electrical system containing a dial for each legislator. Each of these dials would have a “yes” and “no” option. Also, after the votes were made the clerk would record the results. Furthermore, the system would add the votes of both choices to obtain final results. Edison was the first inventor to see invention as far more than simply embodying an idea in a working artifact. His vision encompassed what the twentieth century would call innovation—invention, research, development, and commercialization. In the process, he helped to create a new institution for invention—the industrial research laboratory, which might be considered Edison’s greatest invention. 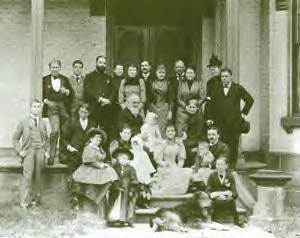 In 1876 Thomas Edison moved his family and resources out of Newark and into Menlo Park New Jersey. There he established a research facility. This facility was the first of its kind. 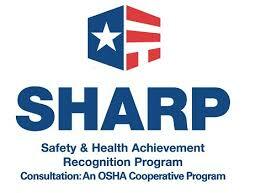 It included top of the line equipment and resources. Therefore, creating new opportunities for other inventors to establish their own labs. Furthermore, Edison’s Menlo Park Lab is thought of as one of his greatest inventions. Along with opening the door for other inventors to create labs, it also gave Edison the perfect place to continue his own work. In 1877 Thomas Edison spent his time inventing his favorite invention. It was the first phonograph. The phonograph was the first stage in recordable music. However, it’s original purpose was to record voices. Edison utilized the vibration of speech. The vibrations created markings on tin foil with a needle. Later he would use the same type marking on cylinders and discs to record music. Edison’s favorite creation was the first step in the recordable music we know today. 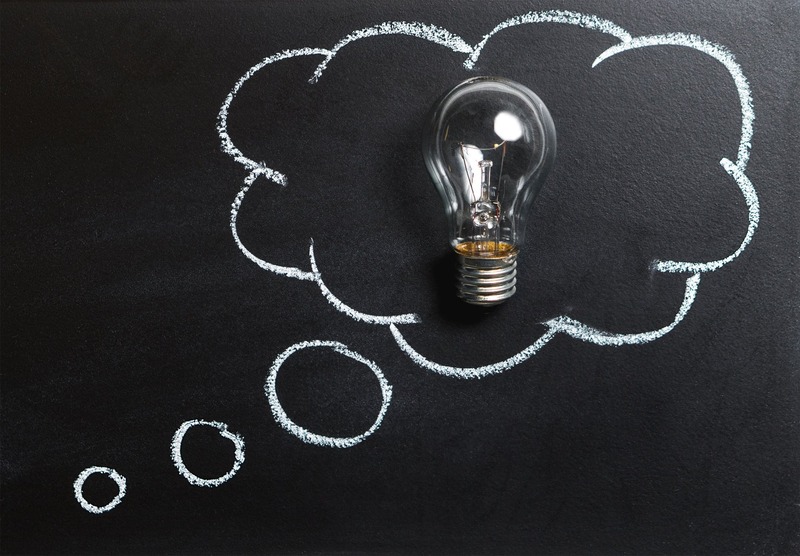 One of the most well-known inventions by Thomas Edison is his incandescent light bulb. However, Edison was not the first inventor to work with electrical lighting. Some inventors were very successful with their lighting inventions. Many of these other inventors were focusing on industrial lighting. Therefore, the real challenge for Edison was to create electrical lighting for home use. Due to this need, Edison began his search for safe reliable lighting that could be used in homes. Incandescent lighting was the perfect solution. However, it took Edison a year and a half to invent the bulb. Edison had to ensure that it was not only economical but safe to use in a home. The biggest sign of success was with a lamp. It included a filament that was made by carbonizing a thread. This thread allowed the bulb to stay on for thirteen and half hours. 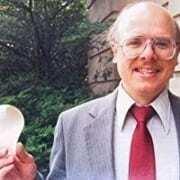 Therefore, his work with light bulbs started the electrical system that we know today. In December 1879 Edison showed how functional his incandescent bulbs were. He established a lighting system and installed it in Menlo Park. Therefore, establishing the first step in the creation of the electric industry. In September 1879 the first commercial power station began its operations. This station provided power and electrical lighting to one square mile. The beginning of The Age of Electricity was its result. Thomas Edison did not like to refer to his inventions as successes or failures. In the field of inventing, it is possible to get bogged down by creations that don’t turn out the way you want. However, Edison was not one to focus on what went wrong. He would rather focus on what he could learn or improve. 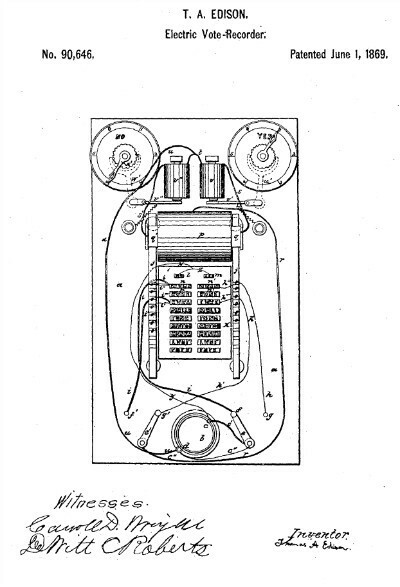 His first patent for the Vote Recorder is a specific example of this. 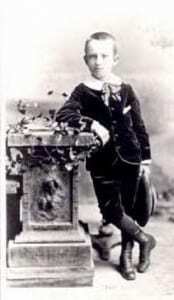 Thomas Edison was very young when he invented the Vote Recorder. Due to this, Edison thought it was a sure thing. He believed his recorder would make life easier. Therefore, he took his invention to Congress. Due to its efficiency, however, Congress feared voters would not take the time to think through their votes. Therefore, it was promptly denied. Due to Congress’s denial of his first patented invention, Edison could have easily walked away from the profession. However, he didn’t see Congress’s dismissal as an ending to his career or passion. The phonograph was Thomas Edison’s favorite invention. He took the time to perfect it. He wanted it to not only record voices but music as well. Edison thought that he could take this technology and implement it into toys. He developed a housing for the machine. It was small enough to be placed inside doll bodies. Edison even had children record the voices for the dolls. This was so they would be more relatable. However, the quality was not great. It was even considered frightening. Due to crackling and hissing families thought that the dolls sounded like monsters. Therefore, his idea for the talking doll did not take off at the time. However, like the talking dolls of today, Edison opened the door for other modern technology. Modern offices all have copiers. However, during Edison’s time, there was no easy way to make multiples of the same work. The only way was to handwrite them. Handwritten copies had disadvantages. Along with misspellings, there was also a concern that the writing would be illegible. Therefore, Edison thought of a better solution. He believed an electric pen could change how offices, schools, and churches conducted business. 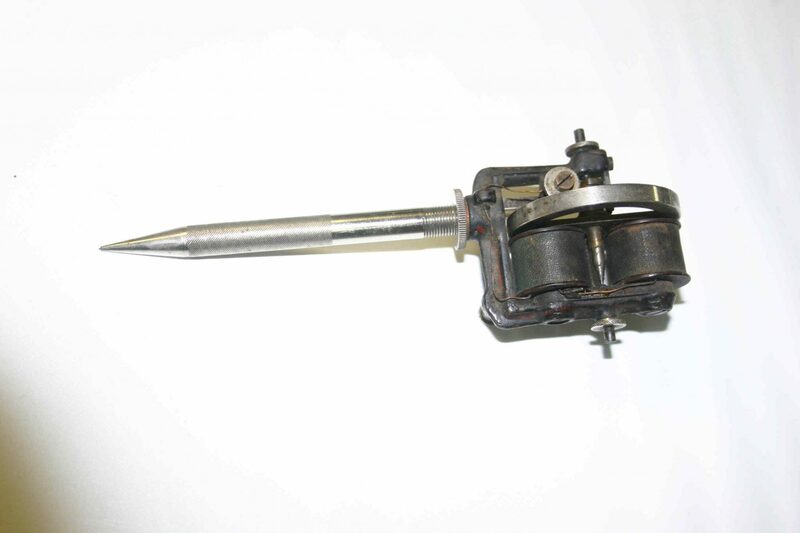 Edison combined a small motor and battery with a needle. The motor would then power the needle to move up and down. This movement caused the needle to poke holes through a stencil. Ink could then be rolled over the markings. It was then possible to make multiple copies of one written work. The mechanics of the pen worked. However, it was heavy to work with. It was also loud for a business or academic environment. Therefore, Edison made improvements. He improved the sound and weight, but it wasn’t enough. The pen required a battery. The battery required maintenance. Therefore, specific chemicals had to be poured into the machine. A process that was very messy. Edison’s electric pen was not the best match for businesses, schools, and churches. However, it did introduce new possibilities to a different industry. The tattoo industry. He did not hold the patent for the early tattoo gun. However, Edison’s electric pen holds the credit for having a strong influence on the design. Thomas Edison had a tattoo. It was five dots arranged how the number five is represented on a dice. However, no one is sure where Edison received his tattoo. Many people wonder if he tattooed himself using his own electric pen. 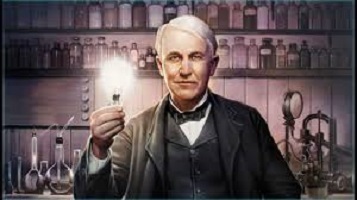 After developing a lightbulb for home use Edison was determined to continue to make life better for others. Edison came up with a way to pre-build pieces of homes out of cement. Therefore, keeping the cost low for struggling families. The idea was to pour the pieces for the houses. Then those pieces could be quickly assembled for those in need of housing. Due to their material, these homes would also be fireproof. However, there was resistance among the communities. The houses were eyesores. Furthermore, his target audience did not like the fact that everyone would know their financial situation. 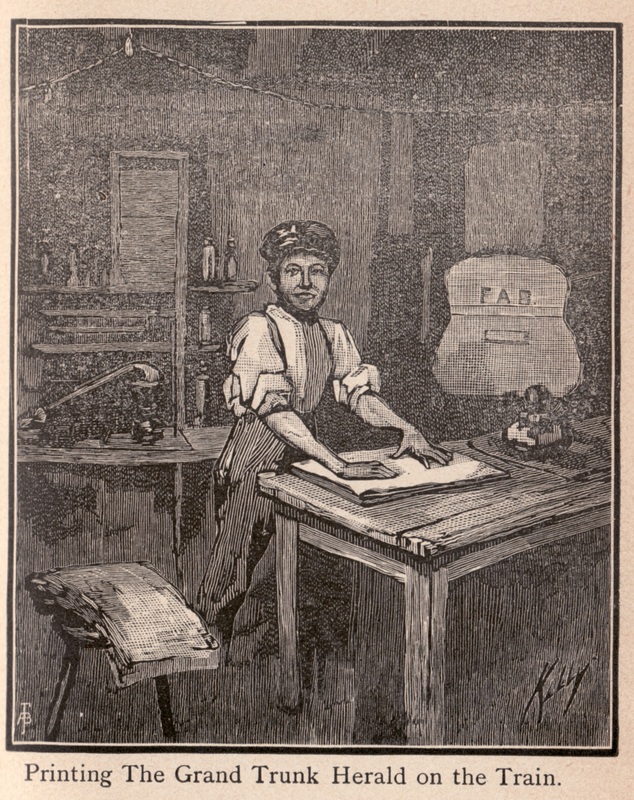 In addition to creating cost-effective housing, Edison had the belief that he could develop cost-effective furniture. Therefore, Edison’s idea for concrete homes became an idea to create concrete furniture. The belief was that newlyweds wouldn’t want to spend too much on furniture that wouldn’t last. The hopes were that they would flock to buy his cost-effective alternative that would last a lifetime. However, concrete was too expensive to be an alternative for other material. Also, people didn’t like the look of the furniture. Even though Edison’s idea for concrete homes and furniture didn’t take off it wasn’t a complete failure. Edison’s concrete company held the contract to build Yankee Stadium. Therefore, even though his concrete homes did not work out there was value to his idea of building concrete structures. In addition to Yankee Stadium, the few concrete homes he did sell, still stand today. Another interest of Thomas Edison’s was the spirit world. He spoke about an invention that was a combination of technology from the telephone and the telegraph. The concept of this new invention was to cross the line between the living and the dead. It was also Edison’s hope that it would make it possible for people to have conversations with the dead. However, there was never any proof that the invention was real. Even after Edison’s death, no record of a spirit phone was found. Therefore, it has become a belief that there was never any intentions of creating such a device. The only evidence of such a phone was Edison’s mention of it in an interview. This is now seen as being a joke that he pulled. Even without evidence, there are still people who believe that Edison had such a creation. It is some of those same people, who believe that he kept it to himself. They also believe he never shared his plans with any of his coworkers or fellow inventors. Whether it was real or just a grand joke Edison definitely peaked interest with the possibility of this invention. This is Due to people often being intrigued by the thought of communicating with their passed loved ones. Thomas Edison had multiple inventions. Many of which that can be thought of as failures. However, there is none like his Iron Ore Separator. 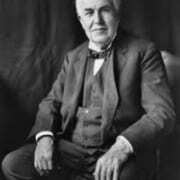 Edison spent money, time, and resources on developing technology for his separator. The end goal was to be able to separate the iron ore from lower grade ores that were unusable. Edison worked for ten years on his separator project. He invested all of the money he had earned from his work with General Electric. In the end, all of the money he had invested had been for nothing. Edison ended his project when iron ore prices dropped. Also, iron ore became an obsolete substance. If not for his sustainable success of the phonograph Edison would’ve been left with nothing after the separator incident. Thomas Edison is seen as one of the greatest inventors that ever lived. He had multiple successes and failures. However, his failures never stopped him. His life was about his inventions. He was continuously seeking answers and solutions. Edison was an inventor until his death. He stuck with his passion for inventing. Even when his inventions didn’t turn out how he thought they would. Also, there were times he was able to change his idea to suit what the situation needed at the time. Also, visit our blog about Thomas Edison’s life. To learn more about Thomas Edison’s life you can have an extensive look at the Thomas Edison Biography. Also, you can find out more facts from The Rutgers Thomas Edison Papers. Interested in where Edison came from? There is a sight just for your! 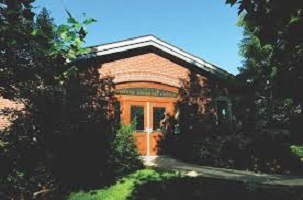 Check out The Thomas Edison Birthplace Museum. Not all inventions succeed. However, it is how you handle those failures. Edison had many failures but he did not give up. Take a look at the 7 Epic Fails of Thomas Edison. You can also check out America’s Story From America’s Library: Thomas A. Edison. Want to learn more about Edison’s inventions? Take a look at the Edison Muckers page! Also, you can find out about inventions you’ve never heard about here How Stuff Works: Thomas Edison Creations that You’ve Never Heard of. Science and innovation have always gone hand and hand. You can learn more about this here at Thomas Edison: The Science of Innovation. Our team at Falconer Electronics works with many entrepreneurs creating brand new electrical products that make our lives better. Perfecting a new product on the first try is extremely challenging if not impossible. It takes a great deal of patience and determination. Also, plenty of trial and error. Thomas Edison represents that tenacious entrepreneurial drive to reach success. 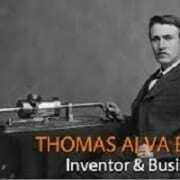 Therefore, we decided to dig deep into the life of Thomas Edison to show his massive accomplishments with New Product Development. Being in the electrical manufacturing sector, we dedicate a huge thank you to Mr. Edison’s relentless pursuit to light up the world. 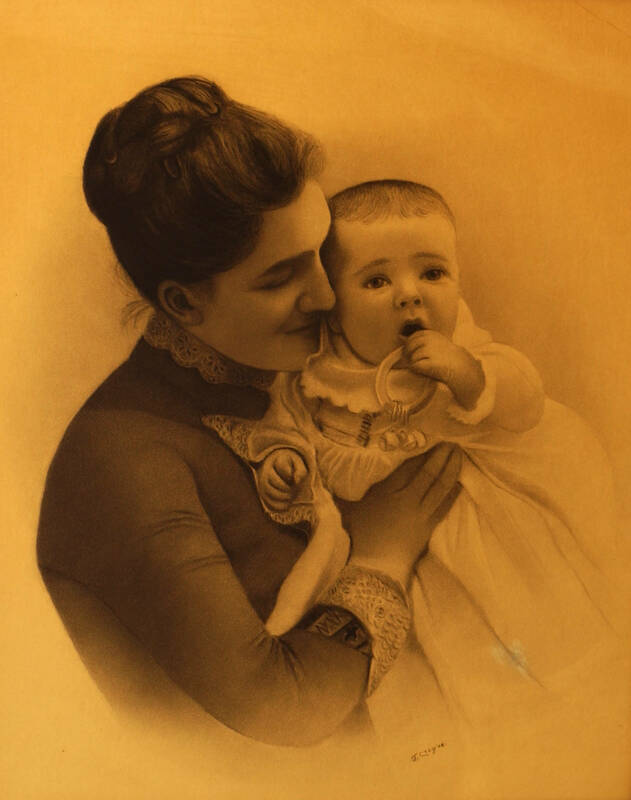 Nancy Edison gave birth to Thomas Alva Edison on February 11th, 1847 in Milan, Ohio and he was the youngest of seven kids. Edison only spent seven years in Ohio before moving to Port Huron, Michigan. 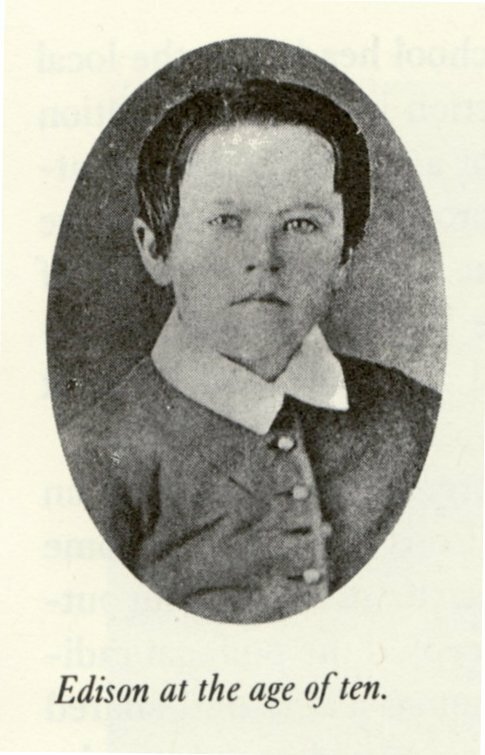 In Port Huron, Thomas spent only three months attending school. This being the only formal schooling he had before homeschooling by his mother, a formal school teacher. While developing a great interest in experimenting he used pocket change to purchase inexpensive chemicals. 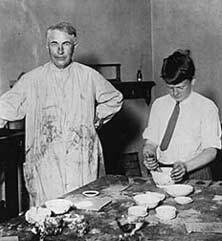 Edison’s mind wanted to see the properties of the chemicals and compare them to the textbooks. 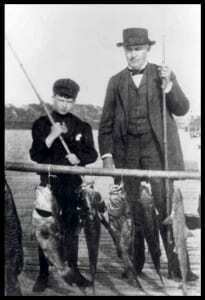 When Edison was eleven he sold his family garden produce in the market. 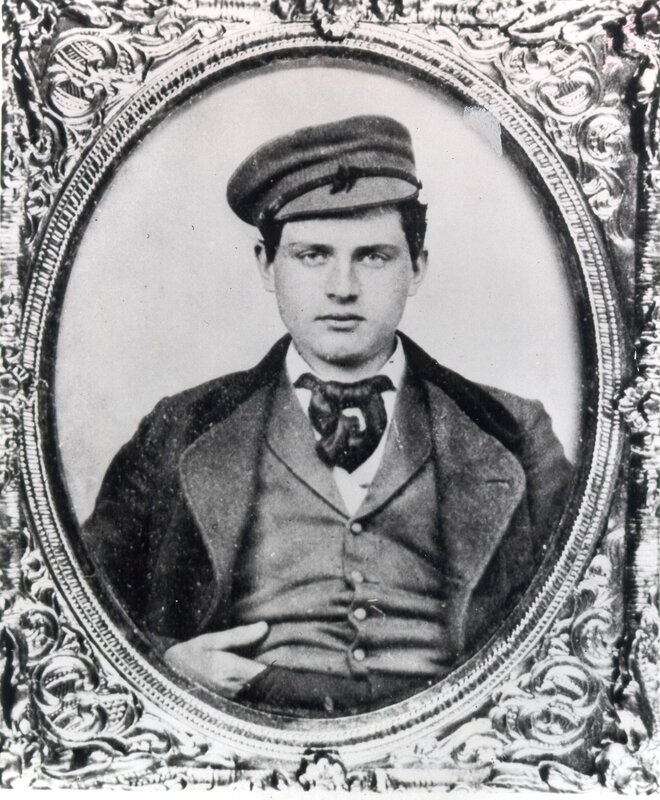 By the age of twelve, he sold newspapers on the trains of Grand Trunk Railroad between Port Huron and Detroit. As his business grew, he hired boys as assistants on the trains. Also, he opened two small stores in Port Huron. 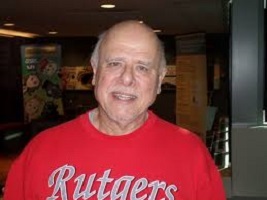 He gained the nickname Al and all the trainmen called him that. Thomas transferred some of his chemicals to the baggage car of the train, along with a small hand printing press from Detroit. He had the first railway chemical laboratory and railway printing press. As a result, his paper “The Weekly Herald” had grown to 800 copies. In 1862, at the young age of fifteen, Edison worked regularly an eighteen-hour workday. One afternoon, the baggage car ran over a rough piece of track. With Edison’s laboratory inside it jolted a stick of phosphorus to the floor. This started a fire in the car that took all the efforts of Edison and the train crew to subdue. When the train finally came to a halt, all his laboratory equipment and his printing press were thrown out on the platform. This accident led to be the cause of Edison’s hearing loss that came in the years following. He found that his deafness became an asset, and kept his sunny, kind and serene personality. In August 1862 another incident occurred. A boxcar was being shunted, at considerable speed, to a side track. The station agent’s little son had been playing on this sidetrack. Edison on the platform saw the incoming danger. He jumped on the track and reached the child just in time to haul him clear. One front wheel of the car struck his heel and threw him with the child to the side of the track. Their faces and hands were cut, but no serious injury. On the following day, the station agent offered to teach Edison the Morse telegraphy, with a view to helping him secure a position as railway telegraphist. He accepted, and in a few months, taking lessons three times a week, he became proficient at the keys. For the following six years, Edison had a career of telegraphist. As a result, Edison became part of the service of the Western Union Telegraph Company. This was through a number of cities in the middle west, and the south. He was a noted rapid and accurate operator, frequently overseeing to press work on night duty. He spent all his available leisure time in experiment and study. In October 1868, when Edison was 21 years old, he applied for his first American patent to a vote recorder. This device enabled the affirmative and negative votes of a seated voting assembly to be swiftly recorded and automatically totaled at the chairman’s desk. 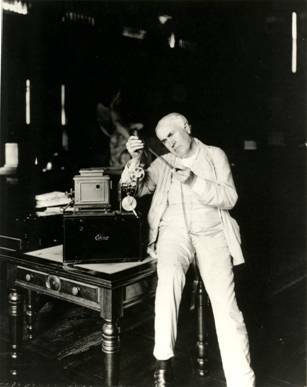 Edison was successful in demonstrating the invention at Washington. Unfortunately, there was no demand for a mechanism of this kind. Edison went back to his little workshop in Boston and gave up the career of a telegraphist changing entirely to the invention.. In 1869, Edison traveled to New York. One morning in New York, Edison was standing near a transmitter. It became suddenly deranged by an internal accident, causing all the indicators in the connected brokers’ offices to go bad. He knew the nature of the derangement and volunteered to correct it. He was able to restore normal operation quickly. This led to his being made manager of the system which he improved and was part of developing new inventions. A few days after Black Friday, September 24th, 1869 when gold went to a high premium, he entered into the first recorded American firm of Consulting Electrical Engineers. After the successful sale of some of his inventions to the Western Union Telegraph Company, Edison opened machine shops at Newark, New Jersey. Also for invention and manufacture. He kept 50 workmen busy, and a night force as well. He was foreman, which meant living on the premises. Here he was part of developing a number of telegraph inventions. The quadruplex for sending and receiving four messages simultaneously over a single wire. Also the high-speed automatic telegraph. As a result, he took out nearly 120 American patents, almost all in electric telegraphy. In 1871, Edison married Mary G. Stillwell and had three children, Marion E., Thomas A., and William L. Edison. In 1876, Edison moved his laboratory from Newark to Menlo Park, New Jersey where he could concentrate on inventing. This was the year of the Centennial Exhibition at Philadelphia, where the new Bell telephone was first shown to the public. 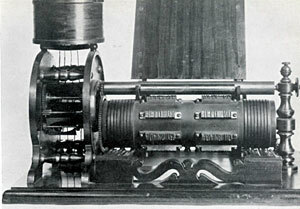 Edison produced a carbon-button transmitter. This virtually converted the telephone from an experiment to a commercially available apparatus. It was in his experimenting with the carbon transmitter that Edison coined the now well-known call word “Hello.” In 1877, Edison started developing the first stages of his phonograph or talking machine. 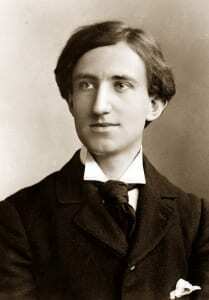 In 1878 he took up the problem of “subdivision of the electric light”. 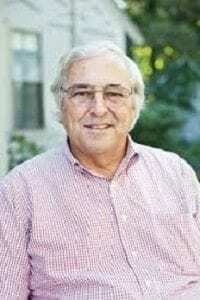 He found that a commercial incandescent lighting system would require its lamps to be connected “in parallel” not “in series.” After a number of failures, he made a successful lamp. It had a filament of a carbonized cotton thread, mounted in a highly evacuated glass globe, and sealed-in platinum-wire leads. In October 1879, his lamp glowed for 45 hours before breaking. Edison decided to open a central incandescent lamp station in the center of the downtown business district with underground conductors. Due to Edison being his own chief engineer, the Pearl Street Station turned on its current to the lamps in the district of New York. The new incandescent lamps won popularity through their steadiness, coolness, freedom from combustion products, and reduced fire hazard. He saw the successful introduction of the incandescent lamp into factories. Also, homes would immediately admit the use of the electric motor for operating machinery and household power devices. One of these discoveries in 1883 was the “‘Edison effect”, a discharge that occurred in the lamps, when being overused. Edison moved his laboratory from Menlo Park to New York City, after his wife’s death in August 1884. 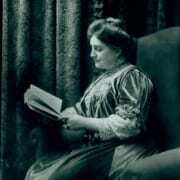 In 1886, he married Miss Mina Miller of Akron, Ohio. 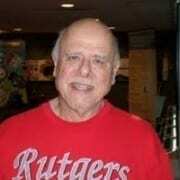 They made their home at West Orange, New Jersey. They had three children Madeleine, Charles, and Theodore. Edison built a laboratory in West Orange, New Jersey. He started work there in October 1887. He perfected the phonograph and made a long series of other inventions. This included the alkaline storage battery, the moving-picture camera, synthetic rubber, the telescribe, the magnetic ore separator, various improvements in manufacturing concrete and other chemical products, as well as many war inventions for the United States Government. At the time of his death on October 18, 1931, He had received 1,093 U.S. patents, a total still untouched by any other inventor. To learn more about Thomas Edison’s Inventions, stay tuned for next weeks blog! To keep up to date with everything that is Falconer Electronics, check out our Facebook Page, Twitter, and YouTube page.